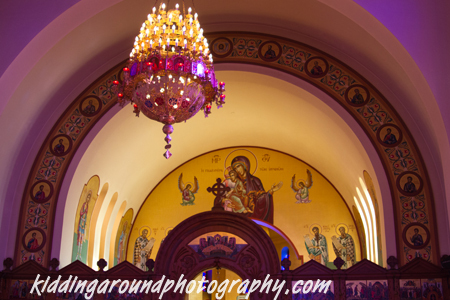 This year’s festival will take place from October 6-8 at NE Portland’s Holy Trinity Greek Orthodox Cathedral, a beautiful domed building with lots of ornate decorations and paintings, beautiful stained glass, and the smell of incense filling the vestibule. Part of the festival’s purpose is to educate the community about the church, and so they have priests there to talk to visitors and they also do free tours of the building. But the main reason I go to the Greek Festival is the food. Oh, the food. I think my blood sugar probably goes up just walking through the pastry section. 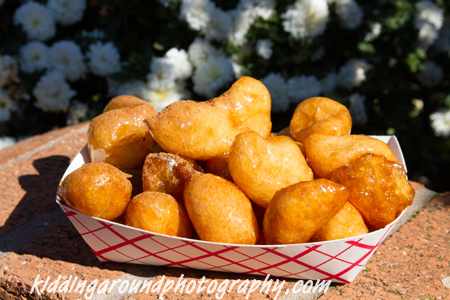 One of my favorite treats at the festival is loukoumades. They’re kind of like little donut holes covered in sweet, sweet honey and doused with cinnamon to cut the sweetness just enough. 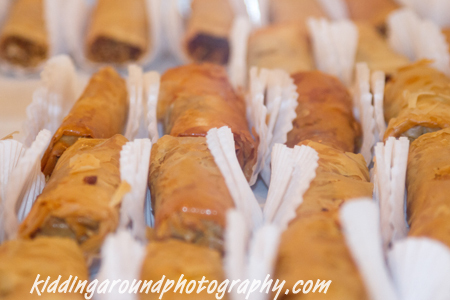 I begin drooling over those things when the Greek Festival signs start going up around town in September! They’re made fresh all weekend long. Budget tip: a small order is big enough to share! 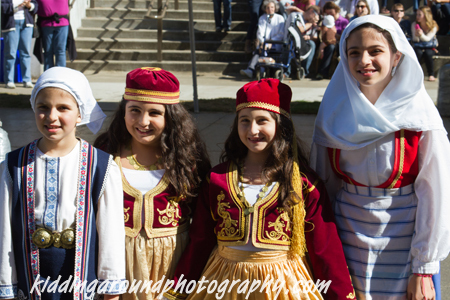 Portland’s Greek Festival is one of the country’s largest, and it’s a fun fall activity that Portlanders have been enjoying for 65 years (it’s the second longest running festival in the city after the Rose Festival). If you’re in the area, put it on your calendar. And if you’re not from the area, October’s a great time to visit! Plan a trip! The loukoumades will be waiting for you, piping hot! Note: blog subscribers may have inadvertently received an incomplete version of this post, which apparently went out in our excitement to spread the word about the festival! Oops. Στην Υγεια σου!